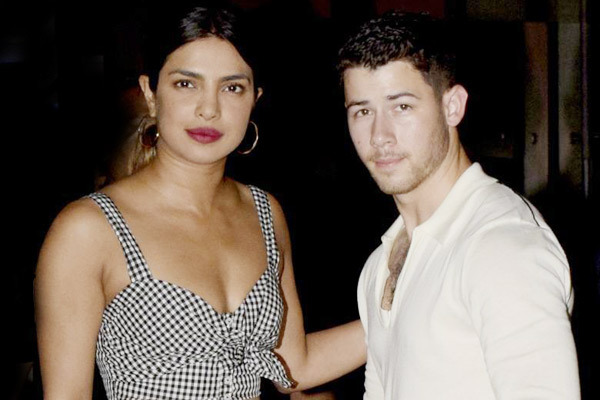 MUMBAI: Priyanka Chopra and Nick Jonas have consistently been spotted together, but never confirmed their relationship publicly. But the American singer-songwriter has finally confirmed the status with the actress on social media. Jonas, 25, took the huge step of sharing a post on Instagram of Priyanka, 35, on Friday, reports dailymail.co.uk. In the video, which was actually an Instagram story, Priyanka can be seen walking in a spaghetti strap top with a low-cut neckline which was paired with a matching skirt. She can be seen smiling, which gets bigger as she comes toward the camera, which is presumably operated by Jonas. His caption was 'her' followed by a heart-eye emoji. According to people.com, the pair is currently visiting Priyanka's mother here, as the actress wanted Jonas to 'meet her mom'. The hitmaker and the actress arrived arm in arm for the family occasion. The two also spent Memorial Day weekend together, and have also been seen on dinner dates.